Four pivotal commission races could decide if the Rays get a new Tampa stadium... and also that transportation tax. 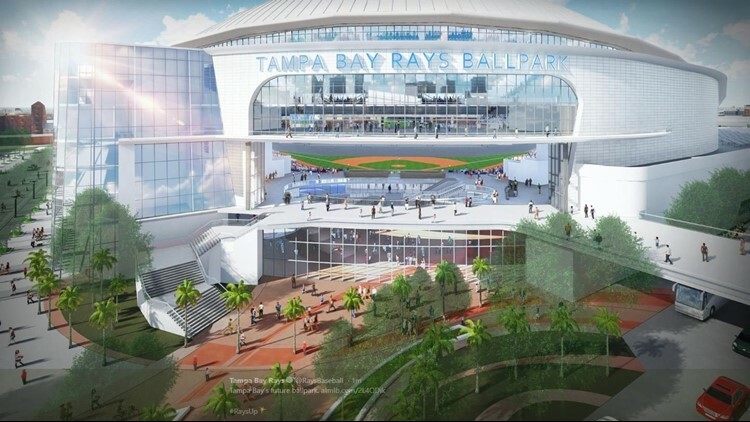 TAMPA, Fla. -- With less than two months before the Tampa Bay Rays’ deadline for informing St. Petersburg of its future plans, Tuesday’s election could play a vital role in the team’s plan to build a new stadium in Ybor City. A pair of new Hillsborough County commissioners impact the team’s ability to secure stadium subsidies in Tampa. But other Election Day decisions could also change the game in the Stadium Saga, including the passage of a one-cent sales tax for transportation in Hillsborough County. The Rays’ biggest new stadium cheerleader, Republican commissioner Ken Hagan, eeked out a victory in a conservative district. He’ll remain the key negotiator in a new stadium deal. But previously “purple” Hillsborough went hard to the left on Election Day, sweeping two new Democrats into countywide commission seats and one longtime incumbent out. It will be the first time Democrats control the commission in 14 years. In District 5, Mariella Smith bounced Republican incumbent Victor Crist, who had been open to Hagan’s stadium dealings. Smith told 10News no general revenue funds should be used for a new Rays stadium but kept other possible funding mechanisms on the table. She has also been critical of the secrecy surrounding the stadium talks. In District 7, Democrat Kimberly Overman defeated Republican Todd Marks, who said he opposed subsidies for the Rays. Overman seemed more open to the possibility but said it wasn’t a “core issue” to her campaign. It won’t be easy to get four commission votes to approve a new stadium deal if it involves any county money; conservative Republican Stacy White won re-election Tuesday in District 4, and several sitting commissioners have expressed hesitations about spending money from a tight county budget on a new Rays ballpark. While money from the newly-approved new one-cent sales tax for transportation cannot be used to construct a stadium, it could provide much-needed funds for infrastructure around the stadium. It could also free up other county money to fund stadium-related expenses. But perhaps even more importantly – and the reason the Rays, Lightning, Buccaneers and Yankees all said they donated money to the referendum’s campaign – the funds could improve transportation in Hillsborough County, making it easier for fans to attend games and theoretically boosting stadium attendance and revenues. Governor-elect Ron DeSantis shares many of the same priorities as outgoing Republican governor, Rick Scott. But it’s unclear if DeSantis, an ultra-conservative former congressman, will share Scott’s friendliness to pro sports teams. The incoming Speaker of the House, Jose Oliva, R-Miami Lakes, is a staunch opponent of stadium subsidies, and there doesn’t appear to be any current stadium champions in the Florida Senate, either. New stadium deals could still happen in the next few years, but they’re unlikely to be the product of state incentives.